« The perfection of traveling is to travel without baggage » (H.D. Thoreau – 1812-1862). This trail is part of an action programme seeking to highlight the heritage of the Belgo-Luxembourg Ardennes. Funded by the European Union, the Walloon Region and the Luxembourg state, this cross-border project was launched in May 2009 to be completed in late 2012. This has led to the creation of a major cross-border trail of discovery, the 106 kilometres Escapardenne Eislek Trail, signposted in two directions, as well as six loop trails of discovery, of varying lengths, to be undertaken according to your liking. This long journey from the Rhine river basin to the river Meuse, along with the six loop trails, passes from small discrete paths bordering the valleys to wide open routes on the heights of the plateaus. The project by itself is enough to satisfy hikers eager for discoveries, but in addition to the hiking experience, the Belgo-Luxembourg Ardennes hiking trail, running through woods, fields and villages, should delight any hiker on the lookout for heritage, wildlife, culture and, of course, scenic treasures. Towards this end, we provide maps and a guidebook so you will have as much information as possible at your command to help you enjoy your trip. 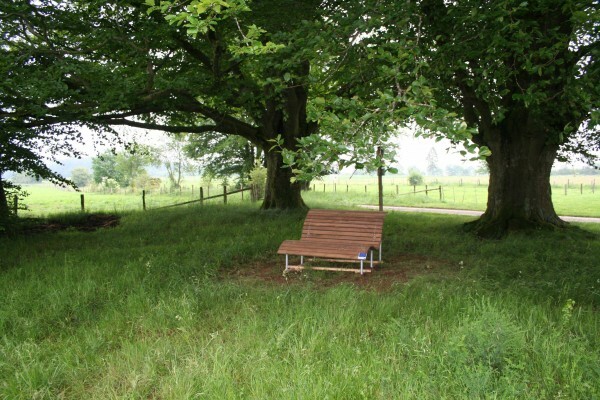 You will be spoiled for choice when it comes to stops, as underscored by the benches, sheltered picnic tables, signs showing heritage attractions and viewing tables lining the route. 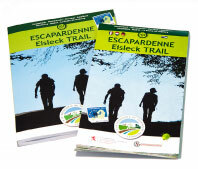 The 106 km Escapardenne Eislek Trail is divided into five stages, to enable hikers to stop at various places, enjoy the hospitality and travel light the next day thanks to the luggage transport service provided by two tour operators. Click here for their references. We hope you all have a verypleasant time discovering the authentic experience of the Belgo-Luxembourg Ardennes!